Would you care to venture a guess about the age and gender group that has, until very recently, the highest per-capita suicide rate? Surely it must be teenage boys, right? No. Middle-age men whose marriages have fallen apart? No. Until very recently, the highest per-capita suicide rate was in men over age 70! Why would that be? Several studies of people considering physician-assisted suicide have found that the number one reason for people to consider taking their own lives as their health fails is that they don’t want to be a burden to their loved ones. Ours is a very utilitarian society. When people lose their perceived utility, they often feel useless, worthless. But God doesn’t make spare parts. He has a purpose for all people from the instant of conception until He decides to call that person home. 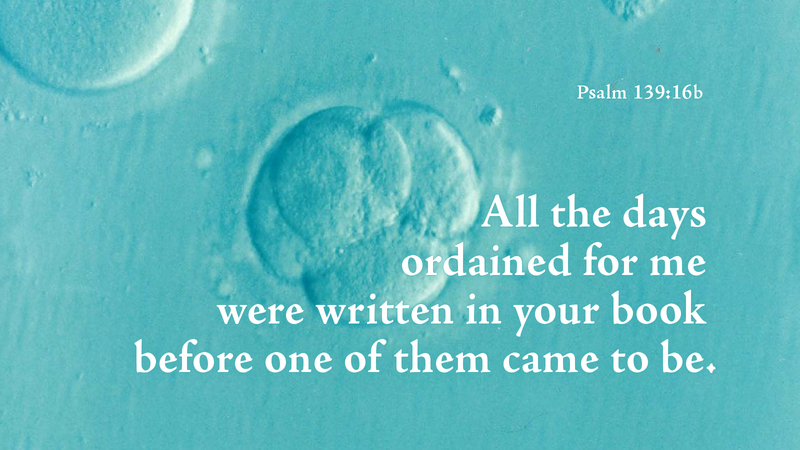 “All the days ordained for me were written in your book before one of them came to be” (Psa 139:16b). The world tells us that the person afflicted with ALS should be allowed to enlist a physician’s help to end their life because that’s the “compassionate” thing to do. But God allows the nurses, aides, family, and friends to be blessed by caring for this person in their most vulnerable hours. “Lord, when did we see you hungry or thirsty or naked or sick or in prison, and did not minister to you?” (Matt 25:44). The world tells us that “a loving God wouldn’t want you to suffer.” God tells us: “And after you have suffered a little while, the God of all grace, who has called you to his eternal glory in Christ, will himself restore, confirm, strengthen, and establish you” (1 Pet 5:10). The world tells us that death is the solution to our problems. God tells us “The last enemy to be destroyed is death” (1 Cor 15:26). Granted, these are simple answers to complicated, sensitive, and painful issues, but our responsibility to our Savior and to each other is to care and never to kill. God, in his steadfast love and grace, will abide and provide. Today’s devotion was written by Scott Licht, National Director at Lutherans For Life, and Pastor at Shepherd of the Prairie Lutheran Church, Huxley, IA.